We live in the data age. Data is collected about our personal behavior everywhere. From the searches we instigate online to the products we order (and when) to the movies we choose in our Netflix Queue, sometimes it seems as if every move we make ends up in a database somewhere. So why this sudden interest in whether we watched all 14 seasons of ER or returned the Samsung Galaxy S5 Phone Case? In a word: Personalization. Personalized marketing, aka one-to-one marketing, uses the data in these databases of seemingly insignificant details about your personal behavior to present a unique product offering built just for you. Each of these recorded actions sifts down into the database as 1 and 0s. Then, it waits for the time when a marketer wants to find every person that searched for a Pet Rock last holiday season so he or she can target them with the release of the fabulous new and improved Pet Rock 2.0. Although, to be honest, I don’t think it is possible to improve on the perfection of Pet Rock 1.0! I am making jokes, but to be honest, I am a fan of personalization. When you make something personal for a customer, you start to create an emotional relationship with your product or service. And as I have been saying since 2002 when I started up my Customer Experience Consultancy, emotions influence over half of any Customer Experience outcome. Furthermore, the level of emotional engagement you have with a customer is what builds customer loyalty. Based on that live stream of the Emotional Trailers, the audience could book tickets to the films from their mobile devices —and book tickets they did! Using these emotional trailers, they delivered record numbers to the Melbourne International Film Festival, selling the most tickets in their 65-year history, among other incredible results. In 2002, we didn’t have the wearable biometric tech to track emotions back then, nor did we think to do something as unusual as wiring people’s facial muscles so we could simulate emotions with programmed electronic currents. To be fair, we were still working to access the Internet from our Nokia phones back then! It is always good to see an increasing number of people accept how important emotions are to a Customer Experience. Moreover, it’s fascinating to see how technology helps us understand how different moments in an experience evoke emotions. If this is what is possible today with data and personalization, what does the future hold? As Customer Experience Consultants in 2016, we are delving into what causes a person to feel emotions these days. Moreover, we are examining how these emotional responses are influenced by cognition to create a reaction, and how these reactions drive customer behavior. Based on the study of behavioral economics, my latest book co-authored with Emory University’s Professor Ryan Hamilton seeks to explain these connections to facilitate a better understanding of why customers do what they do. If you understand how a person’s emotions made them behave in the past, you can predict how their emotions will make them behave in the future. 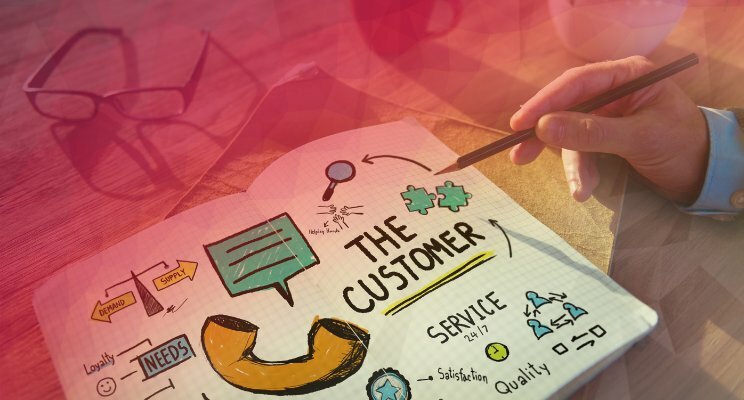 Armed with this understanding, marketers can create emotional experiences where customers enjoy emotional engagement with products and services that cause a reaction to come back for more of them. To learn more about these fascinating and compelling concepts for business, please read our latest book The Intuitive Customer: 7 Imperatives for moving your Customer Experience to the next level (Palgrave Macmillan, 2016). Or join us for the FREE Book Launch on Tuesday, October 18th at 11 am Eastern time. You can also join one of our live, online, interactive training courses. LinkedIn followers can use Autumn10 to get 10% off. · What Can We Learn from Restaurants and Casinos?